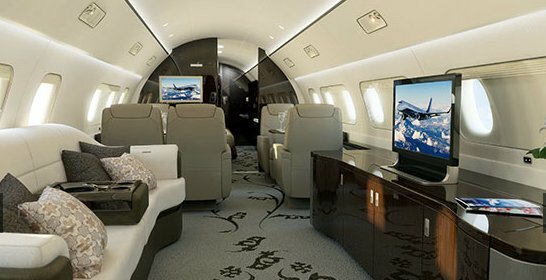 January 7, 2009 - FAA certified Embraer's largest new executive jet, the Lineage 1000. Performance Data: Range = 4,600 nm; High Speed Cruise = 472 knots; Landing Distance = 2,450 feet; Maximum Payload = 9,625 lb; Maximum Executive Configuration = 19 seats; Typical Executive Configuration = 13 seats. Five cabin zones can be configured into a multi-cabin lounge, dining area and even a master suite complete with queen-size bed and walk-in shower. January 15, 2009 - US Airways Flight 1549, an Airbus A-320 struck a flock of Canadian geese just northeast of the George Washington Bridge 3 minutes after takeoff from New York's LaGuardia Airport for Charlotte Douglas airport in North Carolina, and consequently lost all power to both engines. Unable to reach any airport, pilots Chesley B. 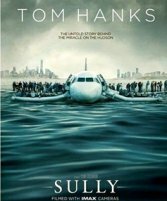 "Sully" Sullenberger and Jeffrey Skiles glided the plane to a ditching in the Hudson River, off midtown Manhattan. All 155 people aboard were rescued. 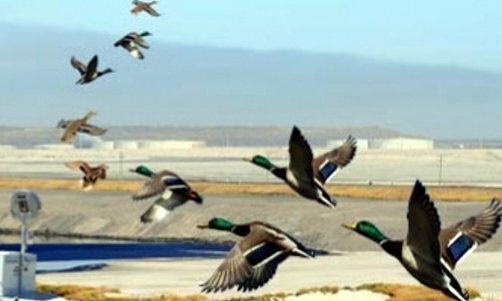 The A-320 struck a flock of Canadian geese at an altitude of 2,818 feet about 4.5 northwest of the airport. The pilots' view was filled with the large birds, and passengers and crew later reported hearing very loud bangs and seeing flames from the engines, followed by silence and an odor of fuel. With both engines shut down, Sullenberger took control while Skiles used the checklist for engine restart. The jet slowed, but continued to climb to about 3,060 feet at 185 knots, then began a glide descent increasing to 210 knots as it descended through 1,650 feet. New York TRACON suggested LaGuardia or Teterboro airports, but the captain said they were "unable". "We can't do it... We're gonna be in the Hudson." This event became known as the "Miracle on the Hudson", and the NTSB said it was the most successful ditching in aviation history. At 3:30 PM the jet made an unpowered ditching at about 130 knots into the middle of the Hudson River. Flight attendants compared the ditching to a "hard landing, with one impact, no bounce, then a gradual deceleration." About 140 New York City firefighters responded, as did police, helicopters, and various vessels and divers. Good decision making by the crew to turn on the APU and to ditch in the Hudson. 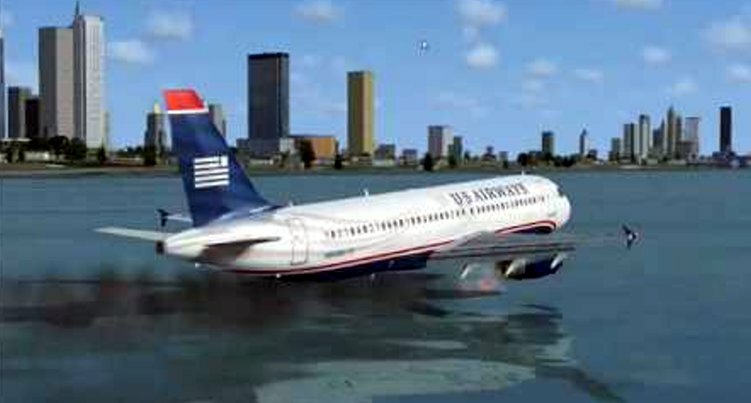 The luck in having a plane certified for extended over water flight. 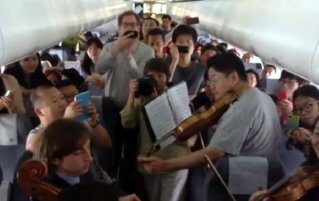 The performance of the crew during the evacuation. The fast response of emergency responders. The damaged plane (excluding its engines) was acquired for the Carolinas Aviation Museum in Charlotte, North Carolina. 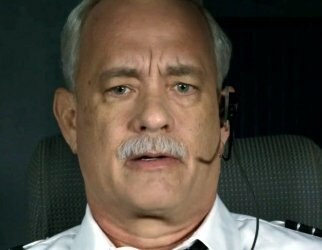 "Sully" - the movie. 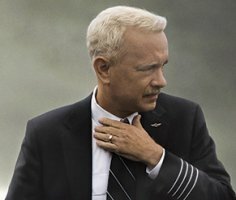 Tom Hanks did an excellent job as Captain Sullenberger, but director Clint Eastwood inaccurately portrayed the NTSB investigation as being adversarial, sensationalized and exaggerated the investigation. January 20, 2009 - Barrack Hussein Obama became the 44th President of the United States. He was the first African-American to serve as president. He previously served in the U.S. Senate representing Illinois from 2005 to 2008, and in the Illinois State Senate from 1997 to 2004. Obama was born in Honolulu, Hawaii two years after the territory was admitted to the Union as the 50th state. He graduated from Columbia University in 1983 and worked as a community organizer in Chicago. In 1988 he enrolled in Harvard Law School, where he was the first black president of the Harvard Law Review. He taught constitutional law at the University of Chicago Law School from 1992 to 2004. After winning re-election over Mitt Romney, Obama was sworn in for a 2nd term in 2013. January 23, 2009 - Raymond H. "Ray" LaHood became the 16th U.S. Secretary of Transportation. A Republican from Illinois, LaHood served in the U.S. House of Representatives from 1995 to 2009. Mr. LaHood was one of 4 Arab-American members of Congress. He attended Canton Junior College and earned a B.S. degree in Education and sociology from Bradley University in Peoria, IL. He served on the House Transportation and Infrastructure Committee from 1995 to 2000. As a member of the House Appropriations Committee he won praise for his skills as an arbiter in being able to bridge sometimes bitter partisan divides in the Congress. February 3, 2009 - Aviation Partners Boeing (APB) delivered Continental Airlines' first winglet-equipped Boeing B-757-300. Continental ordered blended winglets for both retrofit on B-757-300 and for production line fit on B-737 Next Generations. Flight 3407 was cleared for the Runway 23 ILS approach to Buffalo Airport. The weather consisted of wintry mix of light snow, fog and wind of 15 knots. The de-icing system had been turned on 11 minutes after takeoff from Newark. Just before the crash, the pilots discussed significant ice buildup on the wings and windshield. Cleared for the approach, landing gear and flaps were extended. With flaps now increased to 15 degrees, the airspeed slowed to 135 knots. Seconds later, the plane's stick shaker activated, warning of an impending stall as the speed slowed to 131 knots. The captain's response was to abruptly pull back on the control column, followed by increasing thrust to 75% power instead of lowering the nose and applying full power, which was the proper stall recovery technique. The first officer retracted the flaps without consulting the captain, making recovery even more difficult. Finally, the aircraft pitched up 31 degrees, then down 25 degrees, then rolled left 46 degrees and snapped back to the right at 105 degrees. The crew did not declare an emergency, as they crashed into a private home about 5 miles from the end of the runway, with the nose pointed away from the airport. The aircraft burst into flames as the fuel tanks ruptured on impact, and destroyed a house killing the husband and wife. Their daughter managed to escape with minor injuries. 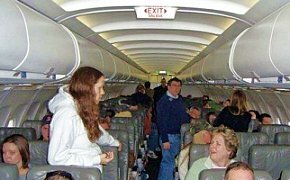 The NTSB found the probable cause of this accident to be the pilots' inappropriate response to the stall warnings. Contributing to this accident was the crew's failure to monitor airspeed in relation to the rising position of the low-speed cue; the crew's failure to adhere to sterile cockpit procedures; the captain's failure to effectively manage the flight; and Colgan Air's inadequate procedures for airspeed selection and management during approaches in icing conditions. The captain had previously failed three check rides, and he may not have been adequately trained to respond to the emergency that led to the airplanes' fatal descent. Investigators also examined possible crew fatigue. The captain was at the Newark airport overnight, prior to the day of the 9:18 PM departure. The first officer commuted from Seattle to Newark on an overnight flight. These findings led the FAA to issue a call to action for improvements in the practices of regional carriers. The NTSB Chair made it clear she considered fatigue a contributing factor to this accident. She noted that the performance impacts of fatigue and alcohol were similar. February 23, 2009 - Seattle-Tacoma International Airport became the first U.S. facility to install and test avian radar. The FAA-funded research project at the airport is a collaborative effort with the University of Illinois. 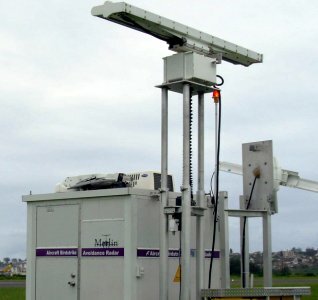 Sea-Tac's experimental avian radar was used to monitor bird movements in the vicinity of the airport The project was aimed at determining how airport operators could use this technology as an early warning detection system against aircraft-bird collisions. June 1, 2009 - Jerome Randolph "Randy" Babbitt was sworn in as FAA's 16th Administrator. He had been a partner in an international management consulting firm: Oliver Wyman. Mr. Babbitt began his aviation career as a pilot, flying 25 years for Eastern Airlines. A skilled negotiator, he served as President and CEO for the Air Line Pilots Association (ALPA). He attended the University of Georgia and the University of Miami before becoming an airline pilot for Eastern Airlines. After leaving ALPA, Babbitt formed an airline management and financial consulting firm in Reston, Virginia. Babbitt was arrested in 2011 in Fairfax City, VA and charged with a DUI. Transportation Secretary Ray LaHood granted his request for a leave of absence and he resigned as FAA administrator 3 days later. Working in aviation consulting, in 2012, he was hired as Southwest Airlines' Vice President of Labor Relations. Big passenger planes don't just fall out of the sky. Flight 447 disappeared so completely -- without a Mayday call or a witness or even a trace on radar. 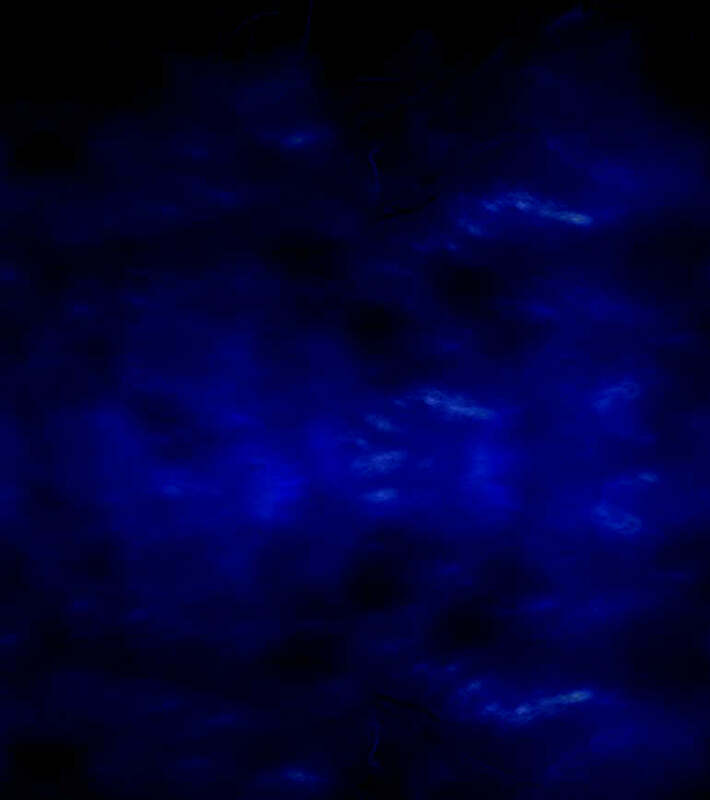 This aircraft was not found in the Atlantic Ocean until 2011. France's investigation concluded that the aircraft crashed after temporary inconsistencies between the airspeed measurements -- likely due to the jet's pitot tubes (devices that provide critical information about how fast the aircraft is moving through the air), being obstructed by ice crystals -- caused the autopilot to disconnect, and the crew reacted incorrectly and ultimately caused the jet to enter a stall from which it did not recover. Onboard systems showed disagreement in the indicated airspeed (IAS) readings, and the airspeed of the A-330 was unclear to the pilots. Incorrect airspeed can lead to two bad consequences: under-speed, which can lead to a stall, and over-speed which can lead to the jet breaking up because it is approaching the speed of sound and the structure of the plane is not made for enduring such speeds. Mystery: Why did the pilots lose control of the A-330? Normally pilots would try to lower the nose in case of a stall. Multiple sensors provided the pitch (attitude) information and there was no indication that any of them were malfunctioning. One factor may be that since the A-330 does not normally accept control inputs that would cause a stall, the pilots were unaware that a stall could happen when the aircraft switched to an alternate mode due to failure of the airspeed indication. Airbus issued a warning to all operators of the A-330, A-340 aircraft regarding pitot tubes, advising pilots not to re-engage the autopilot following failure of the airspeed indicators. France's investigators (BEA) recommended that pitot probes design must be fitted with a heating system to prevent any malfunctioning due to icing. Appropriate means must also be provided (visual warning directly visible to the crew) to inform the crew of any non-functioning of the heating system. While heading south down river, the Piper was seen to be behind the sightseeing helicopter, which was going about half as fast. The Piper's right wing crashed into the Eurocopter, severing the wing and multiple rotor blades from the helicopter. The plane spiraled into the Hudson River and the helicopter also dropped into the water. 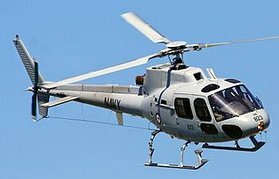 Authorities said the Piper's low wing design made it difficult to see below the aircraft and the helicopter's rotors make it difficult to see above. The NTSB cited 2 causes of the accident: (1) the inherent limitations of the see-and-avoid concept, which meant that from the pilot's point of view, the helicopter would have appeared as a small, stationary object against a backdrop of the New York City skyline until the final seconds before the collision; and (2) the Teterboro controller's personal phone call, which distracted him from his air traffic control duties and prevented him from correcting the airplane pilot's incorrect readback of the Newark control tower's radio frequency. 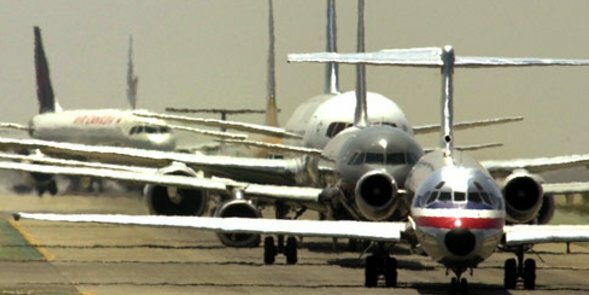 The NTSB recommended that the FAA revise the procedures for ATC facilities in the future for VFR traffic including procedures to coordinate such requests between facilities; requiring controllers to instruct pilots to self-announce on the VFR corridor frequency, and adding information to the Automatic Terminal Information Service (ATIS) broadcasts reminding pilots of traffic advisories if they are in contact with a controller. FAA proposed changes to improve safety of flights in the Hudson River corridor including standardizing the height of the VFR corridor to 1,300 feet; mandatory operating landing lights; maintaining a speed of 140 knots or less and traveling along the west shore when southbound and the east shore when northbound. October 27, 2009 - FAA announced revocation of the commercial pilot's licenses of 2 Northwest Airlines pilots who over flew their destination airport on October 21, while operating Flight 188, an Airbus A-320, from San Diego to Minneapolis. Air traffic controllers and airline officials repeatedly tried to reach them through radio and data contact, without success. The emergency revocations cite violations of a number of Federal Aviation Regulations. Those include failing to comply with air traffic control instructions and clearances and operating carelessly and recklessly. They over flew their destination by over 150 miles because of pilot errors. NORAD readied fighter jets to check on the welfare of the plane, and just as they were about to take off, Minneapolis air traffic control reestablished radio contact. The pilots weren't aware of their location until a flight attendant asked them what time they were due to land. Air traffic controllers had the pilots perform a series of maneuvers to confirm the pilots were in control of the jet, as well as to verify that the transponder target on the radar was actually flight 188. 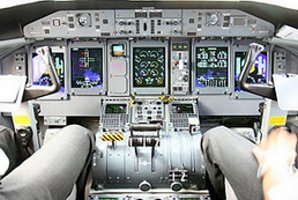 The pilots told investigators they were going over schedules using their laptop computers -- a serious breach of piloting fundamentals, as well as a violation of Delta Air Lines policy (Delta had recently bought Northwest). The Hercules was on a mission to search for a missing rower, while the Super Cobra was on a training flight. December 14, 2009 - FAA issued a type certificate for Embraer's Phenom 300 lite jet. Brazil had certified the jet earlier this month. This twin-engined jet has a horizontal stabilizer in a T-tail configuration and a retractable tricycle landing gear. The enclosed cabin has room for 9 passengers and a 2-pilot crew, or during single-pilot operation, an additional passenger can be carried. 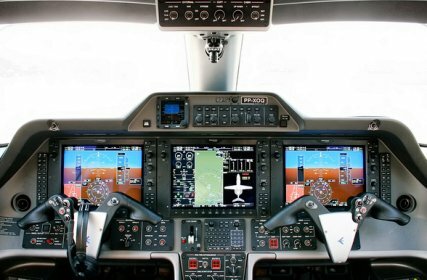 The Phenom 300 is built of 18% composite materials, has winglets, but not thrust reversers. All Phenom assembly will be shifted to the Melbourne, Florida in 2016. The facility will be able to assemble up to 96 Phenoms and 72 Embraer Legacy jets annually. December 15, 2009 - After over 2 years of delays, Boeing's first new aircraft design in over 10 years, the B-787 Dreamliner made its maiden flight. The B-787 Dreamliner is a long-haul, mid-size wide body, twin-engine jet. Configuration variants can seat 242 to 335 passengers. 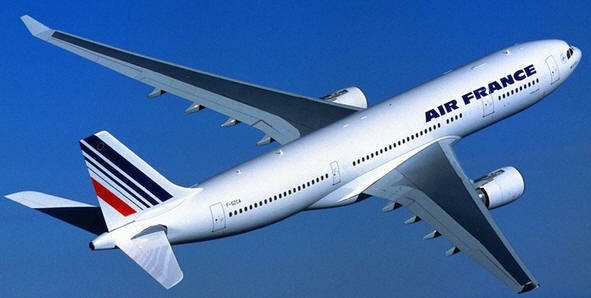 It is Boeing's most fuel-efficient airliner, designed to be 20% more efficient than the B-767. The Dreamliner's features include mostly electrical flight systems, raked wingtips, and noise-reducing chevrons on its engine nacelles. Development and production of the B-787 has involved collaboration with numerous suppliers worldwide. 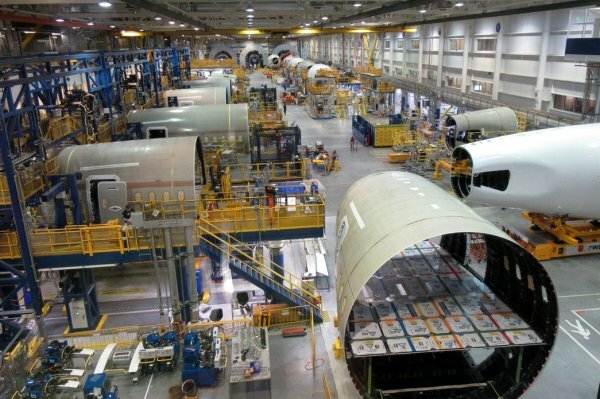 Final assembly takes place at the Boeing Everett Factory in Everett, Washington, and at the Boeing South Carolina factory in North Charleston, South Carolina. 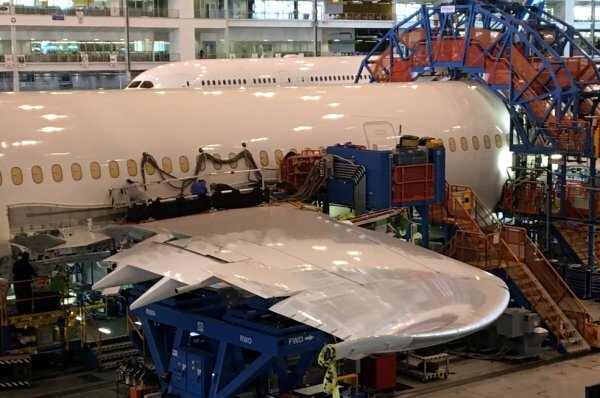 The Dreamliner had suffered from several in-service problems, including fires on board related to its lithium-ion batteries that grounded all B-787s in January 2013. 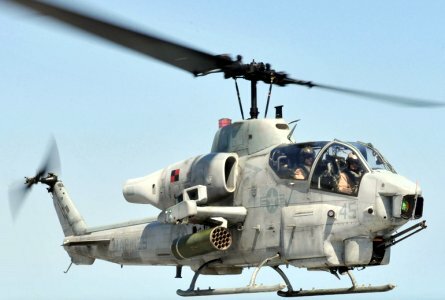 After Boeing completed tests on a revised battery design, the FAA approved the revised design and lifted the grounding in April 2013. 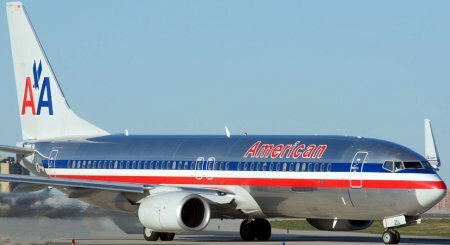 December 21, 2009 - The Department of Transportation announced new rules that prohibited U.S. airlines operating domestic flights from permitting an aircraft to remain on the tarmac for more than 3 hours without deplaning passengers, with exceptions allowed only for safety or security or if air traffic control advises the pilot in command that returning to the terminal would disrupt airport operations. 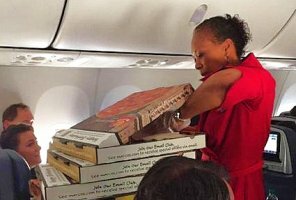 Airlines are required to provide adequate food and potable drinking water for passengers within 2 hours of the aircraft being delayed on the tarmac and to maintain operable lavatories and if necessary, provide medical attention. Prohibited airlines from scheduling chronically delayed flights. Required airlines to monitor the effects of flight delays and cancellations. Required airlines to display flight delay information on their websites. Required airlines to adopt customer service plans. 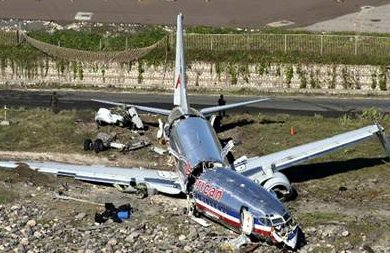 December 22, 2009 - American Airlines Flight 331, a Boeing B-737-800 from Miami, FL to Kingston, Jamaica overran the runway on landing at Kingston in poor weather. No fatalities of the 148 passengers and 6 crew. 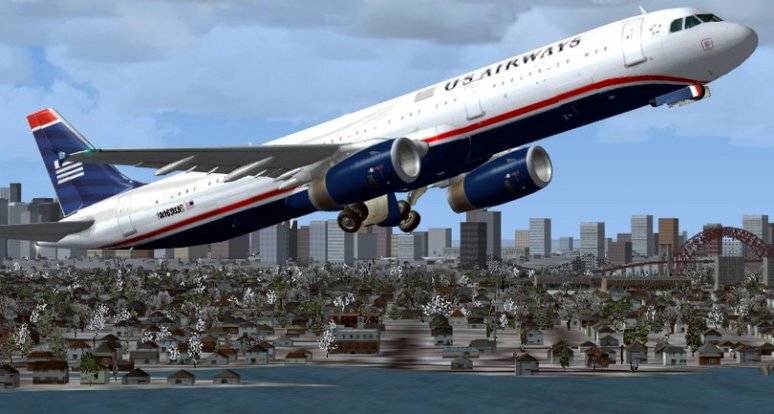 Heavy rain was reported at the time that Flight 331 skidded during the landing and overran the pavement. The crew requested the Instrument Landing System approach to Runway 12, however they were advised of tailwind conditions on Runway 12 and offered a circling approach to Runway 30. The crew repeated their request for Runway 12 and were cleared to land on that runway after being advised that the runway was wet. The jet touched down about halfway down the 8,900-foot runway that was not equipped with rain-dispersing grooves common at larger airports. Additionally, the jet had a relatively heavy fuel load; it was carrying enough fuel for a roundtrip back to the US. The flight crew was not provided with an accurate and current report on the runway conditions. The crew did not review the approach options, were not aware of standing water warning and did not select the most suitable runway. The crew decided to land in heavy rain on a wet runway in a tailwind close to the tailwind landing limit. Th crew did not use the maximum level of auto brake or flaps available. The jet touched down over 4,000 from the runway threshold. 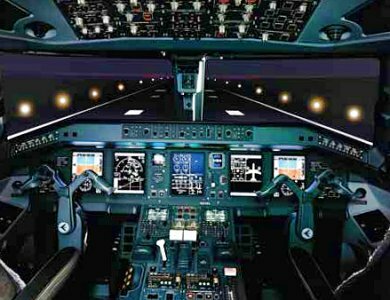 The NTSB recommended that the FAA take actions to ensure adequate pilot training in simulator training programs on tailwind approaches and landings, particularly on wet or contaminated runways. They also recommended that the FAA require commercial airline pilots to perform arrival landing distance assessments which include a conservative safety margin before every landing. December 25, 2009 - Northwest Airlines Flight 253, an Airbus A-330, from Amsterdam, Netherlands, to Detroit Metropolitan Wayne County Airport (DTW) was the target of a failed al-Qaeda bombing attempt. A Nigerian had concealed plastic explosives in his underwear but failed to detonate them properly. All 290 people aboard the jet were safe. A federal grand jury indicted the Nigerian on 6 criminal counts including attempted use of a weapon of mass destruction and attempted murder. If convicted he could face a life sentence plus 90 years. In 2012, he pleaded guilty but remained unrepentant and was sentenced to life in prison without the possibility of parole.